Buying a used mobile home is no easy task. 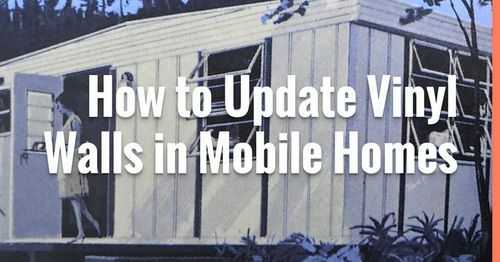 Mobile homes don’t have huge websites like Zillow that analyzes every home purchase and calculates value versus worth for each zip code like site-built home buyers have. Used mobile home buyers have to rely on a much smaller network of resources and a combination of knowledge and inspection skills to ensure we buy a good used mobile home. And after reading this article you will have a better idea of what to look for in a used mobile home (and what to watch out for). 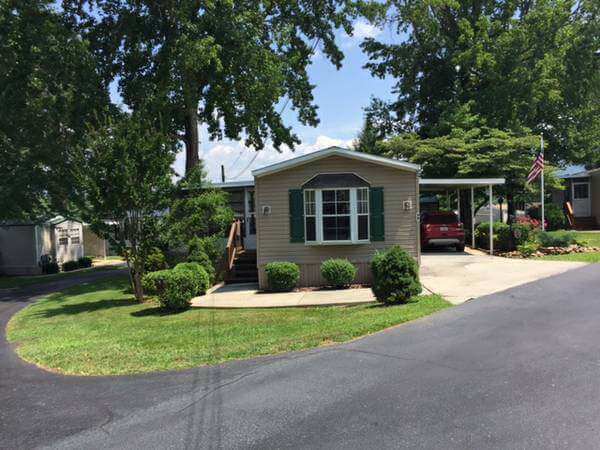 A manufactured home that is 5-10 years old can be a great buy. A home that is between 10-40 years old can be an even better buy assuming it was well-maintained and can be moved or sits on its own land. Unfortunately, some really awesome older mobile homes cannot be moved into some places. Many parks won’t allow you to bring in a home that is 5 or 10 years old. Many towns don’t allow single wides of any age to be placed within their city limits. You’ll need to research the rules that apply to your particular situation. 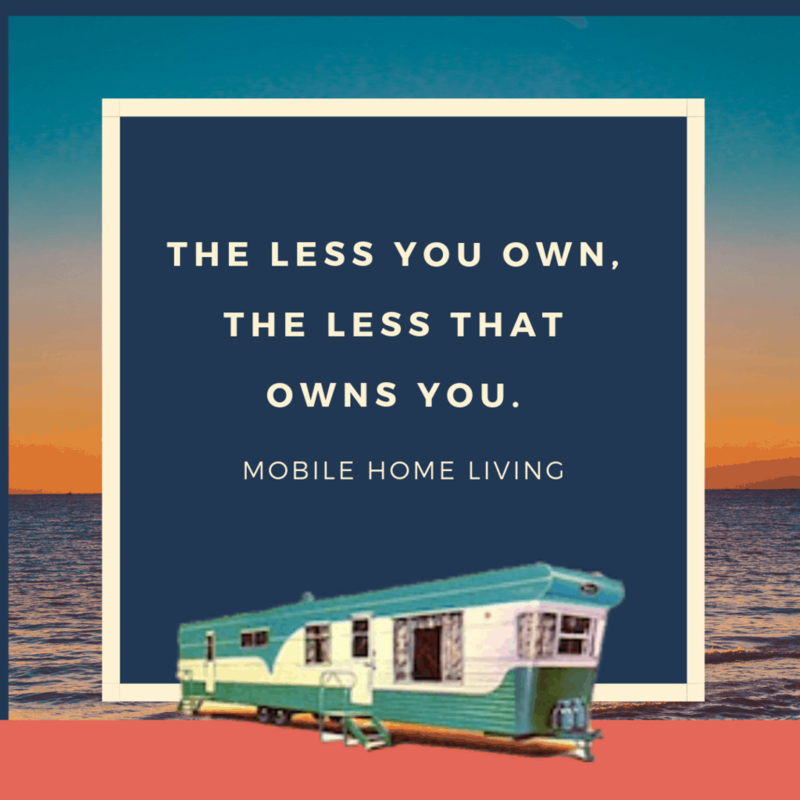 If you are buying a used mobile home and the land it sits on, you will attack the situation just as you would if you were buying a site built home. When a mobile or manufactured home is permanently attached to its own property it’s typically categorized as real property. Note that if you are using government backed loans (FHA or VA) you will want to stick to manufactured homes that they accept in the program (usually 10 years old or less). 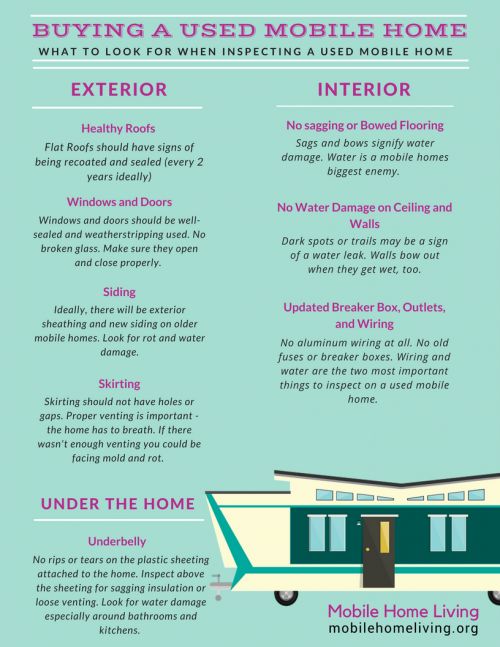 You’re still buying a used mobile home (well, manufactured home but I can’t write mobile or manufactured home every time) and you’ll still want to use the tips we give below to find the best home for you and your family. 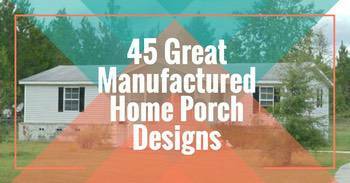 Once you know what kind of home is acceptable to your situation or legal in your neck of the woods you’ll want to do some soul-searching and figure out what you need in a home. Do you need a lot of house or just a little? Do you prefer a single wide with a kitchen on the end or a double wide with the kitchen in the middle? Are you a growing family that wants to live debt-free? You could be like the Alredge’s and add a two-story addition onto a 2010 Horton single wide to create an 1800 square foot dream house. Or, are you retired or single and just need a cheap, but nice, home that allows you to travel the world with all the money you save not paying an expensive mortgage? Are you a DIY junkie that just can’t get enough sawdust or someone that would rather not play with dangerous power tools? Once you understand what you need in a home it’s time to learn about the construction and how to inspect the home. Thanks to the internet, buying a used mobile home without land is much easier than it used to be. Search Craigslist, local trading papers, newspaper classifieds, local real estate channels, internet classifieds or even Ebay for local or regional used mobile homes. To buy a used mobile home on land you will do the same as above but you may be able to hire a real estate agent. Just make sure they are knowledgeable about factory built housing. Read our editorial, Manufactured Housing Discrimination is Everywhere here. 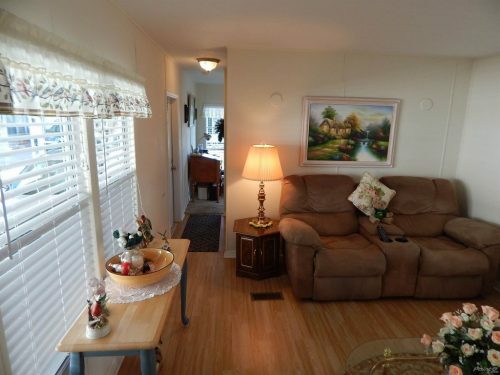 First impressions will be one of your most powerful tools when buying a used mobile home. You can usually tell if the home has been properly cared for and maintained by appearance alone. Homeowners that have kept their home neat and tidy are more likely to stay up to date on maintenance. If you see that the home wasn’t well cared for you’ll need to be extra cautious. Inspecting every inch of the home is important when buying a used mobile home. The two most important things to look for when buying a used mobile home is water damage and wiring issues. These are the two things that will be most difficult to repair or correct. You can easily replace a light fixture or update the stove or floor covering but water and electricity require professionals and professionals are expensive. Electricity is one of those things you just don’t play with. So if the home is older than 1976 it should have already been re-wired and a new breaker box put in place. If not, you will need to re-wire the home and have an inspection done to ensure everything is safe. If the home should have been rewired years ago but wasn’t you may want to consider moving on to another home. Look at like this, if the seller didn’t have enough money or care enough to replace outdated or unsafe wiring that could burn their home down what else didn’t they do? You should know that from the late 1960’s to around 1973 a lot of mobile home builders used aluminum wiring. Technically, the aluminum wire itself isn’t the problem but the connectors they used to combine the wires are a huge fire hazard so no aluminum wiring in a mobile home of any age. HUD standards did not take effect until mid-1976 but you still need to check out the breaker box for ample, organized circuitry and check all the wall switches. Everything should work and GFCI switches should be utilized at all water sources. Read how one homeowner learned about the danger of her Federal Pacific breaker box here. Plug into every outlet to make sure it works or use a tester. Seriously, wiring is no joke – test it. You need to be a super sleuth when it comes to water in a mobile home . Look everywhere! Thoroughly inspect around every water source and look above and around windows and doors and walls for signs of water. Water is always a mobile home’s biggest enemy. Look for leaks at all water sources: sinks, tubs, toilets, dishwashers, washing machines, and showers. Inspect the water heater and the floor and walls around the water heater. Flush the toilets while running water, look for pressure loss. Look under the home for signs of water damage or leaks. Wet insulation is usually a sign of a leak. Bathroom floors are the most commonly damaged and replaced areas in mobile homes. Believe it or not, several manufactured home builders installed carpet in the bathrooms. Yep, I’m serious! Homeowners could have a seriously water damaged floor in their bathroom and never even know it till the floor fell in. Be sure to lift the floor covering and check for mold, bowed and sagging subflooring, and wet spots in and around the tub and toilet, especially. Personally, I would never buy a used mobile home unless I could visually inspect the bathroom and kitchen floors so if the sellers have a problem with you lifting the floor covering I would walk away, quickly. If the kitchen cabinets or interior doors won’t stay closed without help, you may be in a home that is un-level. An unlevel mobile home puts stress on the home’s joints and can cause leaks, squeaks, and other things you don’t want to deal with. Most mobile and manufactured homeowners don’t realize just how important it is to keep a home level. Soil settles and the earth shifts during freezing and thawing, so a mobile home needs to be checked at least every other summer to make sure everything is level. Related: The Directory of Mobile Home Manuals can help you learn more about mobile homes. What’s it look like under the home? By looking for certain issues under the home you can save yourself a lot of issues in the future. Look at all the piers. Each and every pier should be supporting a beam. If you see space between the beam and the top of the pier, the home could be stressed and compromised. While you’re under the mobile home, inspect the plastic sheeting, or underbelly, for tears or holes. The plastic sheet under a mobile home is more important than most people realize. It acts as a vapor barrier, insulator, and protection for the home. Used mobile homes should have good insulation and a healthy underbelly! If the owners didn’t maintain or properly care for the underbelly they probably didn’t care for the roof or the flooring either. Ask for receipts that prove the flat roof was properly sealed and coated over the years. What’s it look like on top of the home? 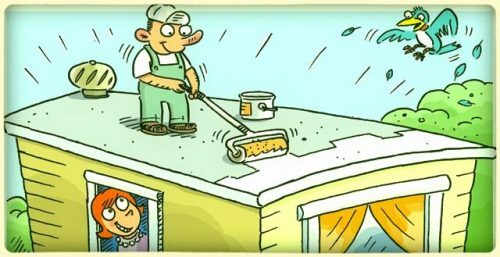 If the roof is not properly maintained, the entire home can suffer damage. If you end up purchasing a used mobile home with a flat roof, you will need to seal it immediately after the move. The trip will cause the sealant to break bond. Related: This website has some great tips about buying a used mobile home here. Metal roofing should be dent free and trimmed properly. All seams should be water tight and sealant used around all cuts. A wider eave is never a bad thing. Insulation should be placed under the metal panels. Shingled roofs require re-roofing every 15-30 years. Check that all shingles are in place and all angles and cuts are water tight. Will it pass all necessary codes? 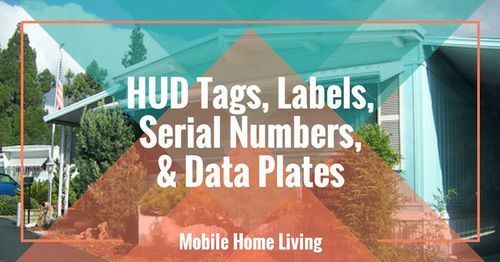 Depending on your location, your used mobile home will have to pass several codes before you can occupy it. Inspections for transportation, structural design, electrical, plumbing, foundation, and several others may be required. Naturally, you want a home that will pass theses inspections. This is where it pays to spend a couple hundred dollars and have a professional manufactured home inspector come in and inspect the home. They should not be affiliated with the seller at all. Spending $200-400 dollars at this point is a lot better than learning about a leak on the left corner eave and needing a $5,000 repair a year later. 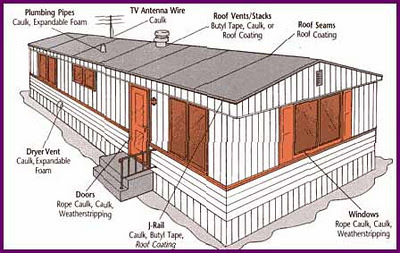 Learn more about mobile home inspections here. The market for buying used mobile and manufactured homes without land is a lot different than the real estate market for site-built homes. A site built homebuyer can easily learn what their home should be valued at and a seller can learn what the home is worth. The used mobile home market doesn’t have all that but we do have two companies that are now offering manufactured home appraisals online, NADA and MHVillage. Punch in some data, give them $25-30 and get a decent appraisal on the home you are considering. Of course, if you are buying a used mobile home with land you’ll go through the same or similar steps as a site built home buyer. 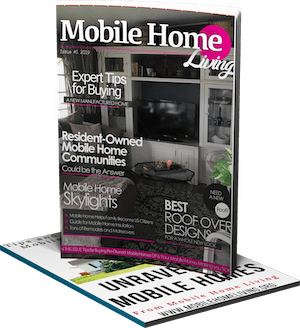 The information in this article should get you comfortable enough to at least narrow your choices down for a used mobile home. We also wrote an article with 30 Tips For Buying A New Manufactured Home. It has some good points for both new and used mobile home purchases. With the right knowledge and research, you can find a solid and affordable used mobile home that meets your needs. Living in a used mobile home is a great way to save money and still live comfortably. It gave my family a chance to catch our breath and save money while still living in a stylish home. If you have anything to add, please let us know in the comments. I can update the list, and we will be able to help more people that are buying a used mobile home. I am buying a 2005 Cavco doublewide with land. There appears to be several, what look like cracks, across the ceiling in several areas of the home. These cracks run width-wise, not where center meets. It looks like they may be spackled over or painted (won’t know until inspection). I do not know much about the structure of MH. Maybe cosmetic? Or possibly settling problem. Seller is original owner and no mention made in the property disclosure about this issue. I Any advice on what this could be would be great! It sounds like the home hasn’t been properly leveled after settling. All manufactured homes need to be re-leveled after 2 years and then every 3-5 years thereafter. In addition to cracks, windows will be hard to open and close (be sure to check every one), doors and cabinets won’t open and close properly. Ceiling panels for mobile homes are hard to find which is why most people use sheetrock and that is a huge job (and expensive). In most every home the panels go across the home side to side, not end to end, so if I’m understanding this correctly your cracks are end to end? If the cracks are in more than one place this is significant and not the sign of a healthy home. Can you send photos? That may help us understand. Do u have to have permission from a land Lord to buy a used manufactured home in a MHP? I bought one in Ca and can not pay the space rent for it, land lord she can’t accept the space rent. What next? In almost every case you will need to get a preapproval from the park before buying or selling a home. I had one couple tell me they paid cash for an older single wide in a park but wasn’t allowed to take possession of it because the seller didn’t give the park first dibs on buying it. There are some tricky contracts in some parks. Thank you a million times for your article! I am going to retire soon and live on a very strict budget. I have been in contact with MHVillage regarding buying the land lot with a MH on it. I only have $75,000 to pay for both the lot and MH. If I pay in cash, can I receive a discount on the purchase? Is there anything more I need to know about this major investment? You should be able to negotiate quite a bit with cash money! Sellers love that! Just make sure you don’t rush and inspect every inch of the homes – you want to good bones, no water damage, and well-maintained. Then when you think you have found ‘the one’ hire an inspector for a few hundred dollars. Your information on buying a Mobile home is very helpful. I want to know how do you find out information on the Park where the home is ? The best way to find out about a park is to knock on doors. I’d also check the Better Business Bureau, Facebook or Yelp reviews, and any posts on local websites like Topix. People are very vocal when they have been wronged. I know safety is a big issue with something like this so please take along a friend and tell the homeowners exactly why you are there in the first few sentences. Something like, “I’m thinking about buying a home in this park, what do you like about the park?” Ask about the positives first so you can establish a quick bond that will put them at ease a little and they will likely be more truthful when you ask about the negatives. Our furnace needed a fuse replacement in the unit, and it was only a few dollars to replace. Yours could be a small issue, too. I’ve heard blowers go out a lot and those will cost a couple hundred or so. Don’t lose hope! Hello, I am looking into buying a used home at a mobile home park. I am curious as to what a typical buying process looks like and what important details I need to know about the home before handing over my money. Will I receive a title like one would when buying a car? How do I go about changing the Home title to my name. Do I get the title, change it to my name and then pay once I know it’s mine? What about tax history? The Home I am looking at buying is by owner not the park, they do want cash payment instead of a certified check. I just want to know what to do to ensure a safe transaction. I don’t want to get scammed out of $13,000. Thank you. First and foremost, please have an inspector inspect the home before you do anything. 1. Make sure there are no liens or other legal obligations tied to the home. 2. Make sure the park accepts the transaction. Many will charge a fee for ownership transfer. 3. Make sure the person selling the home is the person you are giving the money to (title). 4. I don’t like the idea of cash transactions. This is likely illegal because it is over 10k plus you want to establish a thorough paper trail during this whole process. Click here and you will be taken to a site that has all the title forms you may need for every state. The forms themselves will give you an idea of what your state requires in title transfers. Considering purchasing a mobile home in Central Florida. Looking at costs aside from the purchase price (which I can pay upfront) such as lot rent, utilities, insurance, etc. Ironically the mobile home is a few blocks from my apartment near shopping and my part time job. Want to carefully consider all. You and I are in the same boat! It’s a huge decision that shouldn’t be rushed. Definitely, investigate the park. Talk to the tenants because if the park is bad the home and the entire situation will be, too. Best of luck! If there’s anything I can help with just reply to the comments. I had no idea that bathroom floors are the most common damages areas in mobile homes, nor did I know that they came installed with carpets! 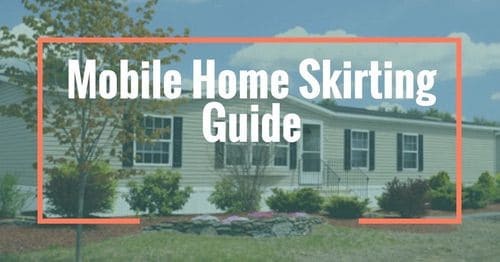 A friend of mine is considering moving into a mobile home, so I’m trying to help him gather as much information about them as I can. Thanks for the information! Now I have a better idea as to what to look for in a mobile home. We purchased 4 acres in the middle of nowhere in north Florida in 2015. In the middle of this lot a 1973 trailer from hell loomed under the trees. We knew nothing about mobile homes, but it had a well, septic, an electrical pole, and a pretty decent kitchen. We did not look under it, but the kitchen floor sagged, and the smallest bedroom window leaked. After asking around, we found a contractor willing to restore it for weekend use. He and I put our heads together and planned our 20,000 dollar renovation. He fixed the roof, windows, floors. 2 decks, all interior doors, ceilings, walls, totally new bath, electrical, and paint. It was a monumental undertaking! Some said I could buy new for that amount of money, but with new permits and county fees, I would have probably ended up with a toaster instead of the 768 square feet I love. I love that it is a retreat from the city whenever we want. Also, I cringed when Irma came through here a month ago, but she still stands! There was no water anywhere in the trailer. Sometimes you have to take a leap of faith and just do it. God blessed us with this gift. We want to see it!!!! I would love to share your story – could you please email me at [email protected]. I am having a hard time deciding what to do. I have lived in my mobile home for 4 years and will be paid off in about 5 I am getting ready to pay towards the principle. I want to move it because the property mgmt keeps going up on the price of the land. My dilemma is do I walk away and purchase a new one on my own property or pay off and then buy land and move it. I want to have it paid before I retire. I still diddle with the idea of purchasing a site townhouse where I don’t have to worry about lawn maintenance etc. which would be closer to my job. Need to decide. You are definitely in a tough spot! If the home is nice and well maintained and you can find a small piece of property to buy that would be nice. You will have all the prep and grading and utility installs and home movers and installers to pay in addition to the land. A brand new home would be great but they aren’t cheap. You will have land and upkeep on the home versus the townhouse but you’ll likely have HOA fees on a townhome. Could you maybe sell the home you have now and use that money to pay on the new home or townhouse? Sometimes, manufactured housing isn’t the best choice for a family. I can’t tell you what to do but when I have a tough decision to make I always make a chart and put the good on one side and the bad on the other. It helps to put things into perspective. Best of luck! Let me know what you end up doing. I have moved into my home 4 months ago.The seller had to put in a new dish washer 2 months ago.Now my kitchen floor is buckling.What can I do to get him to pay for my floor. Most used manufactured homes are sold as-is and have no warranties at all. 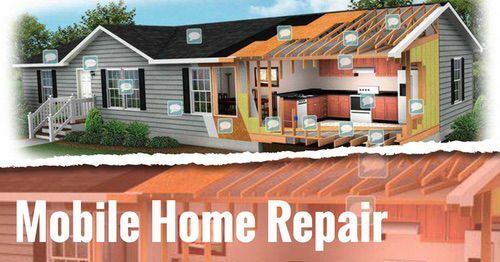 Even in an owner-financed situation all repairs and maintenance falls onto the buyer unless the seller agreed to it but I don’t see that happening. The fact that the seller installed a dishwasher 2 months after you bought it absolutely amazes me (you must have some serious negotiating talent…lol). So, legally, I doubt you will have any luck. Also, proving that the dishwasher was the cause of the leak 2 months later would be impossible. I’m moving from the midwest back to the pacific NW and they have a LOT of mobile home/manufactured home parks for seniors. Since I’m in transition on career change and don’t see renting as the best idea, I’m looking at a 1986 double wide in good condition. It’s $45K and looks like it will suit my needs just fine for some time; I’ll be updating it over time since I’m a chronic fixer upper so it should be worth more when I sell it. Other units in that park show much higher values so it is looking like a good choice. I’m preparing a list of questions for the realtor, is there a resource online you would recommend to cover all the bases on that? You can as long as the rot has been tended too and there’s little chance that water can get between the two. I’ve always been told that it is best to remove original panels (interior and exterior) and then replace. But with the new materials available these days that isn’t always the case anymore. You have a lot to think about! I’ve found that what is meant to happen will find a way. I’ll be the first to tell you that a site-built home is the best choice for a lot of families but manufactured homes have their place in the housing market, too..List out the pros and cons of each and see where that leads you. Hi, Doug here, I live in Washington State. I purchased a mobile home from a private party, they took payments with now interest. Now it is payed off and we/they are ready to transfer the title. Will I now need to pay sales tax on the purchase price when transferring the title? I have had to keep up on the property tax. Every county and state does it different. I know with my owner financing deal the seller paid the taxes until the note was paid in full and then once it was transferred to me I was responsible. We did that simply because that’s what the seller wanted to do (so he could ensure the taxes were paid while it was in his name). Call your county tax department and they should be able to tell you. There are only a handful of banks and financing companies that will finance an used mobile home. Most of the time you will only be able to get a personal loan (at higher interest rates) to buy a mobile home BUT if you can pay it off quickly it can be a great way to buy a home (if we'[re talking less than 10k). Otherwise, your other options will be buying land and combining the land and the mobile home together on a mortgage OR going through a dealer to finance at a high interest rate. This is one of the perils of used mobile homes. They are a great way to life affordable but you really need to be able to pay cash or find an owner finance deal like we did. For those who serve(d) in our military, the VA can assist with finding a lender for financing a mobile home. A home that has been well-maintained will last for decades. It all depends on the condition. Make sure your home is installed correctly and level and it could outlive us all! Its 20 acres and its your neighbors permission. Sorry. My internet is on my phone and I can’t see while I am typing. You’re absolutely right Brenda! Some areas are not mobile home friendly at all. In my town, you cannot install a single wide unless the property had a single wide on it before the town council changed the rules. If there is a single wide on your property and you pull it off you have one year to pull a new one in, otherwise it has to be a double wide or site-built home. Some times you can find a mobile home at low cost from someone that is trying to sale, so that it can be removed from their property, or like me luck out by finding a mobile home on my parent’s property. This home belonged to my father’s friend and I bought it for two thousand dollars, so yes shop and ask around. you may know someone that may know someone who may know where a mobile home is for less. I’ve been remodeling this home four year now which is okay with me I’m making it my home so keep that in mind when you buy a used home that it may need a lot or little work. How ever much work it need do a little at a time, it will all come together. Look at what furniture you have what colors you like and use them to create a theme. You don’t have to go out and buy all new stuff you can work with what you have already and don’t be ashamed to shop (Good well) (salvation Army) Flea market find out what days they bring out more clothes blanket, certain, blanket, towels, quilts, dishes etc… on those day you will find better and have more to chose from. Sometimes I’ve found name brands and lot of accents for my home. you will be surprised at what you find. and no one has to know where you got it. Would I hire a conventional home home inspector to inspect a mobile home prior to sale? Are there special inspectors that just do manufactured homes? Hi David! I’m not well educated in that area but I believe you need to find an inspector that specializes in manufactured homes. I’ve read some of the inspectors forums online and the consensus there is most seem to be ‘anti-manufactured home.’ Most posts are very negative toward manufactured homes and inspectors don’t like dealing with them and have outdated opinions. Good luck and please keep us informed of your results if you can. It could help someone else. Thanks!! I found few home inspectors would inspect mobile homes. I didn’t get any sense of an “attitude” toward mobile homes. They just felt that some aspects of mobile home construction are different than stick-built, and they weren’t trained in those aspects. And I agreed with them. I finally found one professional home inspector inspected both stick-built and mobile homes. He advised me that he wasn’t certified in mobile home inspections (not even sure there is such a thing), but he grew up in and had lived in mobile homes most of his life, so he felt comfortable including them in his business. I also found an unlicensed, uncertified inspector by calling a local mobile home supply store and asking them if they could recommend anyone knowledgeable, which they could. Licensed or unlicensed, certified or uncertified, a guy who has been living in, moving, setting up, repairing, renovating, and servicing mobile homes for a few decades are probably better at inspecting mobile homes than many of the less experienced licensed/certified stick-built inspectors. The main advantage of the professional home inspector was that he gave me a nice, detailed, written report of the inspection, which I could use going forward to make repairs and improvements. Thanks for all the info Julie! Check your state’s resources. Some states have departments specifically for MHs.